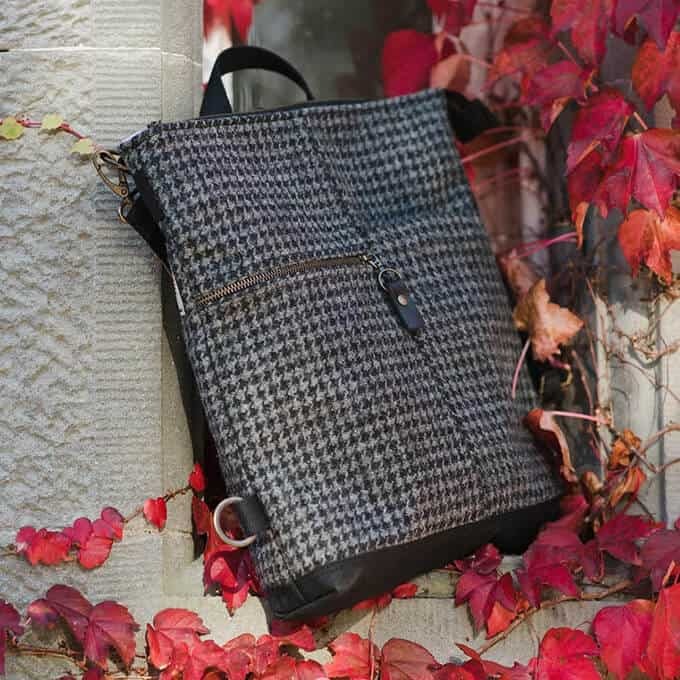 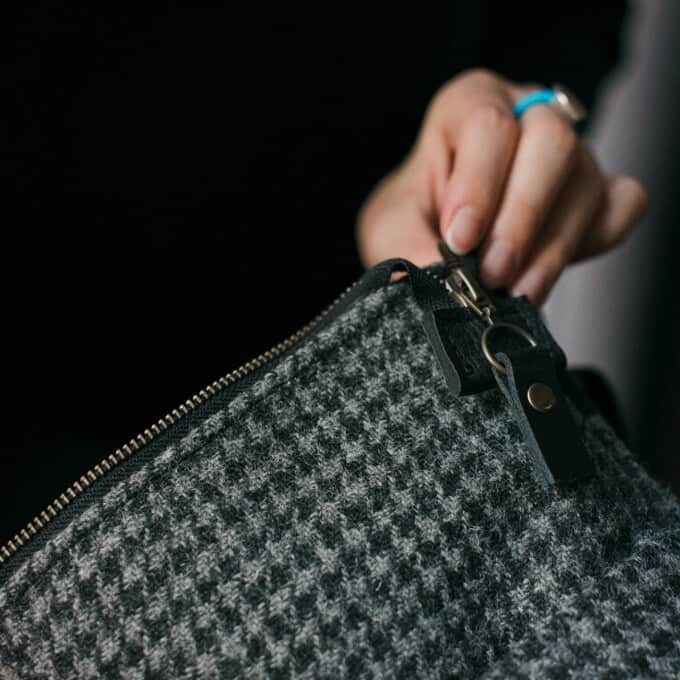 Handcrafted in an Edinburgh studio, this bag combines contemporary styling with heritage fabrics. 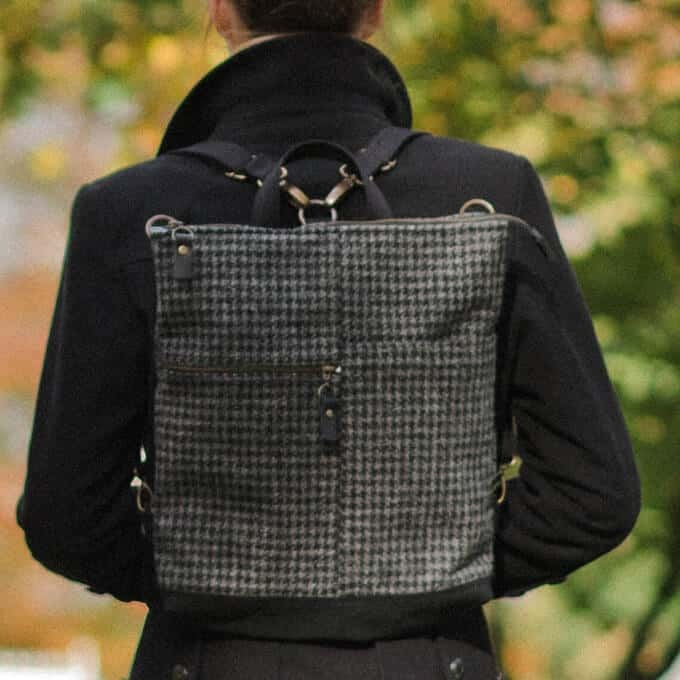 The Harris Tweed is the same kind that Isobel would have worn; the waxed cotton, produced locally, gives protection. 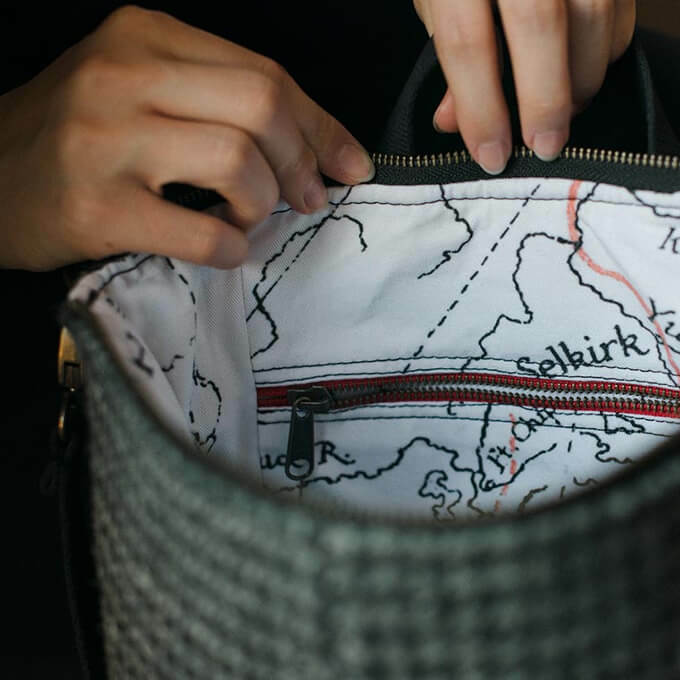 The design is rounded off with an interior lining of hard-wearing cotton drill, printed with excerpts from Isobel’s maps. 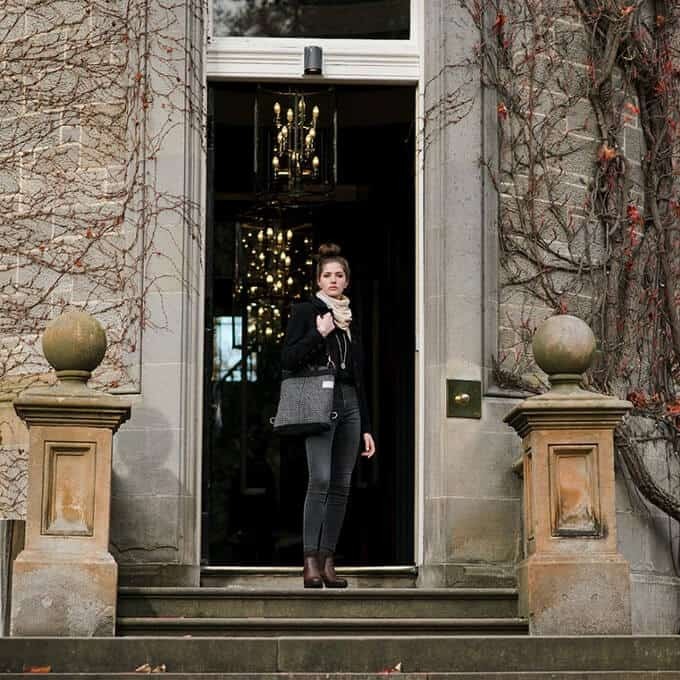 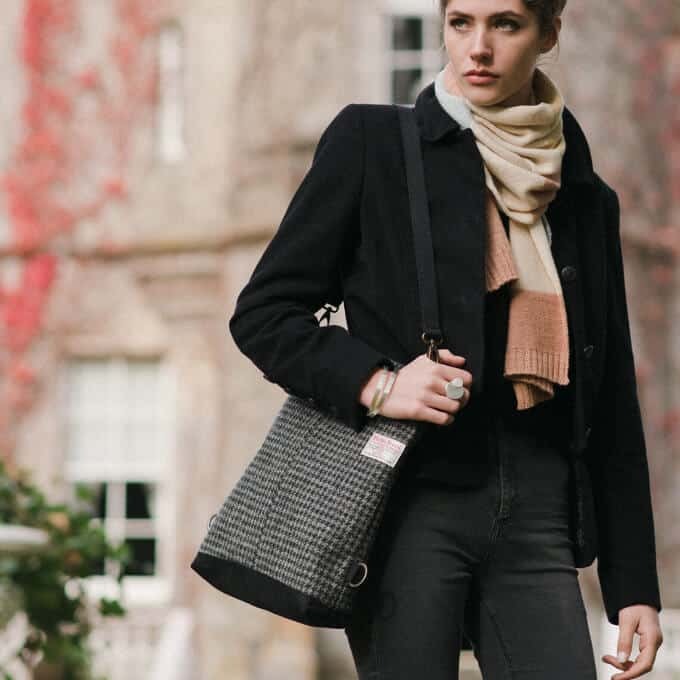 The bag can be worn in a number of ways – as a haversack, as a messenger bag or as a handbag – meaning that like Isobel, the wearer is ready for any occasion.